With only a few more days of summer freedom, I am acutely aware of how curious my toddler has become. At the start of the school year last fall, he was a little bundle of blue lying sweetly in a bassinet. I spent the majority of fall and winter homeschooling around his many naps. My older kids could spread out their homeschool projects or craft supplies with no worry of little hands grabbing for pieces or parts. Now my son is walking…and climbing…and EXPLORING. His curiosity is almost always on autopilot and I struggle to keep up with him. I am a firm believer that the toddler season with all its energy and inquisitiveness should be celebrated, not just tolerated. Toddler-hood is a God-ordained period of growth both for my little one and for everyone else in our home. So as I approach the school year knowing that my little guy will be enjoying each school day WITH the rest of us, I have begun to make some of the same preparations I have done in the past when homeschooling with a baby or a toddler. Admittedly, it is not easy. But, it is possible to ENJOY not just OCCUPY your tot during the school day. Here are five tips to help you get started with establishing a meaningful Tot Time for the upcoming homeschool year. I would love to have every piece of the Melissa and Doug catalog to engage my little guy. But, alas…the budget just won’t allow it. However, there are plenty of wonderful tot school activities and busy bag ideas that I can whip up with materials I already have on hand. Take some time to make a list of the tot activities you already have at your disposal such as puzzles, board books, and blocks. Then, gather a few out-of-the-box ideas from around the web. Here are a few collections to get you started. Once you have a master list of ideas created, tuck it away with the rest of your school plans and refer to it often. By creating a MASTER list, you will be saving yourself much-needed brain cells on a harried homeschool day when you need a quick tot activity on demand. A nice tall shelf from IKEA might look aesthetically pleasing in your homeschool space, but it might not be the best place to store school activities for a tot who can barely reach the second shelf without having to climb on it. While there isn’t a one-size-fits-all, perfect plan when it comes to organizing the chaos of tot supplies, there are several options that will work for a variety of different homeschooling spaces. Check out these lovely ideas to get you started. Because of my small space, I tend to be a “hide it away and bring it out when I need it” kind of girl. I think that the element of surprise helps to pique interest as opposed to having ALL of your activities out on a visible shelf ALL of the time. But, however you choose to manage all the clutter, just remember to keep the materials easily accessible to you or your tot. All your best laid plans will be pointless if you never use them because of disorder. Although with my first child, I made a beautifully detailed schedule of tot school ideas complete with themes and academic goals, with my fourth…and now fifth tot, I feel comfortable and confident providing random enjoyments throughout the school day. My rotation, while lacking rhyme, certainly has reason. I typically create one bin/tray/mat of activity in the morning and another one in the afternoon. I set them out within my tot’s reach and enjoy a few minutes of tranquility while he busies himself with CONstructive activity. Between the two tot times, my little guy is free to roam, cuddle, play, laugh, and live. I plan our more challenging homeschool subjects around these two short bursts of concentrated tot activities. My plan is more of the loose, organic kind. But, if you, on the other hand, wish to have more intentional schedule to your tot school, here are a few FREE planning pages to help get your started. It will be logistically impossible for you, as a homeschool mom, to sit down and do tot school with your little one all day long. 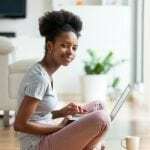 But, you probably have several pairs of smaller hands in your home that are more than willing to take their turn doing puzzles, reading books, stacking blocks, or just cuddling on the couch. Break the school day into 10 or 15 minute increments and assign each of your older kids to a rotation of playing “teacher” during tot school. Don’t forget to include yourself in the cycle. This will not only save your sanity, it will also help to form lasting sibling relationships and cultivate a sense of responsibility in your older kids. In the midst of the mayhem of trying to play teacher AND mother, it is easy to resent the chaos that follows a curious toddler. Just remember that the Tot season is short. Do your best to provide engaging, proactive activities, and then surrender to the mess knowing it won’t last too long. Your tot is a gift to you and to your homeschool. Embrace the gift and the disorder that sometimes comes with it. Formerly an elementary school teacher, Jamie left the school desk to bring the learning home in 2006. She is the doting wife to “Mr. Right” and blessed momma of five gifts. After some simple trial-and-error, she found herself homeschooling with an eclectic, Charlotte Mason-esque approach. Somewhere between diapers and division flashcards, she finds time to write and speak about parenting, organization, and homeschooling. This is a great article for starting tot school. I have been doing tot school with my toddler since January now, but I still found lots of useful information. Thanks! Thanks for sharing my tot school planning form, Jamie 🙂 I love all of these tips!! Toddlers are children between the ages of 1yr. to 3yrs. old. I believe that toddlers should spend lots of time pretend playing, exploring nature, being read to and listening to good music. They also need some structure in their day. Workboxes allow me to have several intentional learning opportunities for my daughter every day. I’m able to make sure she’s getting some attention during our school time and she loves to have “school work” like a big kid!Here’s what I found works best for us:– Use only 4 to 6 boxes.– Vary the types of activities.– Plan for the activity to last between 5 – 15 min. max.– Spread the workboxes out through the school day.– Be flexible! 🙂 My daughter always has a buddy to work with her with her workboxes. At least one activity is done with me, but I also assign my older kids to help as well. Some days my daughter might be in the mood to do several consecutive activities. Other days, after one workbox she is done. That’s ok! You want these structured learning times to be fun, not stressful for either you or your child.In each workbox, I place all the materials necessary for the activity. If it is something that won’t fit in the box, I write directions out on an index card and place in the box (i.e. nature walk, big wheel riding etc.). 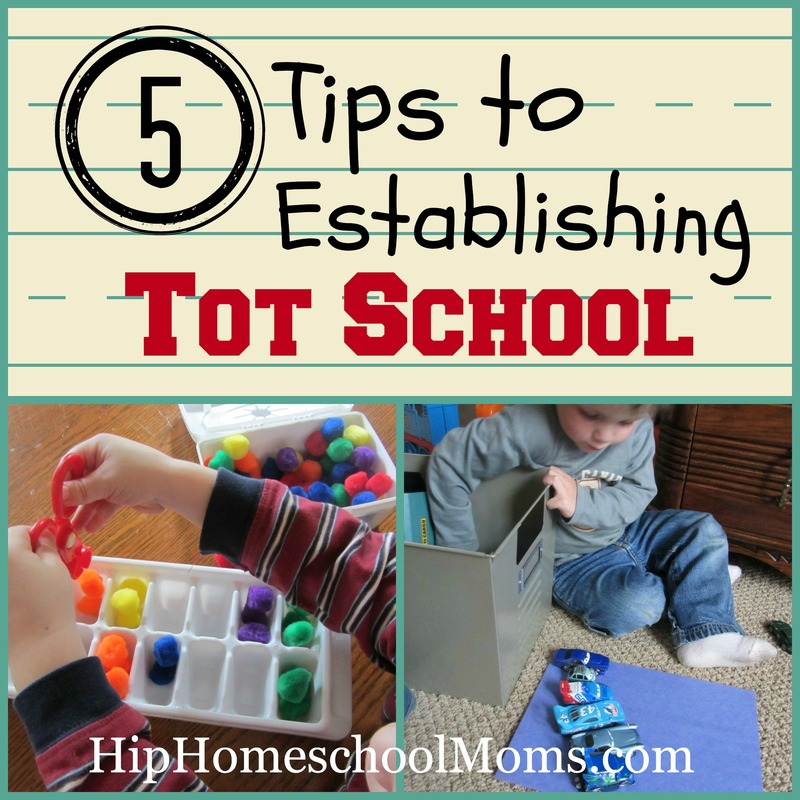 Thanks so much for sharing my tot school essentials post! What a great list of resources you put together! Wow! Great post! Tons of resources 🙂 I really appreciate it. I don’t have older children, but as our absolutely frigid Canadian winter approaches, I hope some of this comes in handy for special big sister time when our new baby girl arrives in December. Thanks for sharing my Tot School Planner! Love this blog post!